Use the best squads to complete monster quests faster. Get better cards in The Warlords through completing monster quests and helping others. From Develish Wolves to The Orcish Legion. Learn which cards to use for each monster quest. 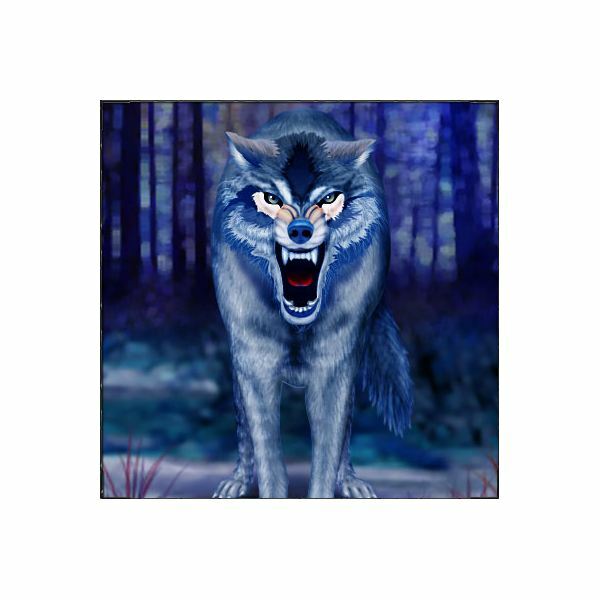 Play the browser based war game Global Warfare on Facebook. Use this guide to learn all about the technology you can use in the game. Use this Army Attack guide to learn how to play this great facebook war game from Digital Chocolate. Tips for those that are new to the game The Warlords on Facebook. From picking your starter deck to the pro’s and con’s of beginner cards. Choosing the right stats as you level up. Strategy Quests and Monster Quests, which are better to do? Getting gear for your avatar and acquiring alchemy pieces. 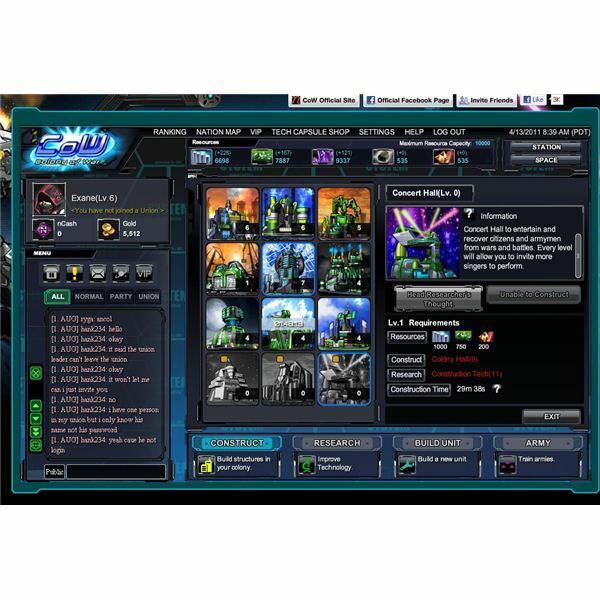 Global Warfare is a Facebook MMO browser war game. Build modern armies, use generals, train technology and build defenses. Learn all about the structures you can build for your base in this Global Warfare guide. 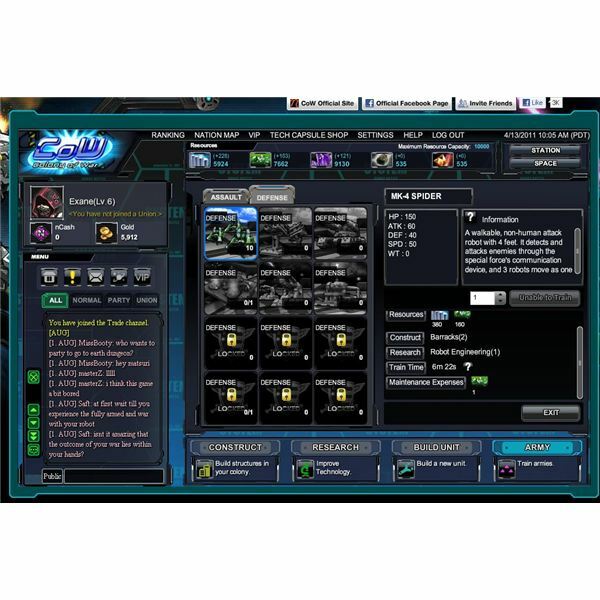 Play Global Warfare on Facebook the browser based MMO war game. 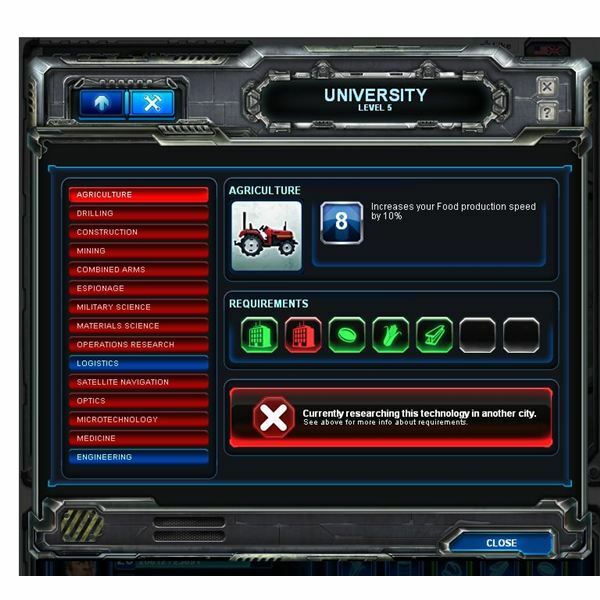 Conduct research to improve your economy and military base, join alliances, and train powerful military units. 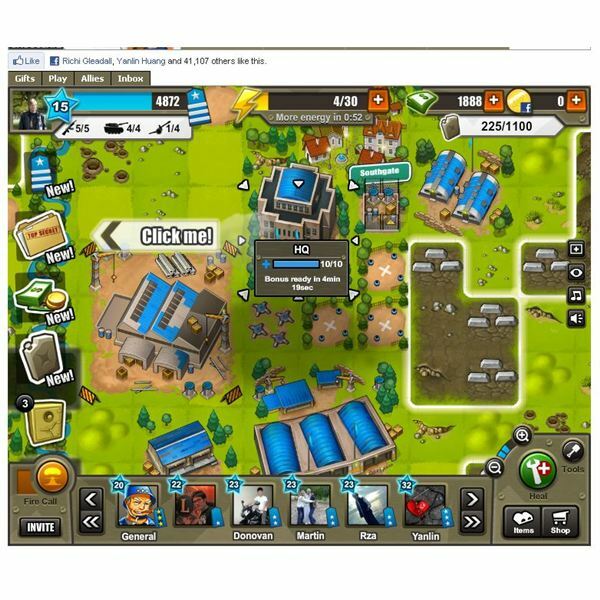 Use this guide to learn about the units and defenses in Global Warfare on Facebook. 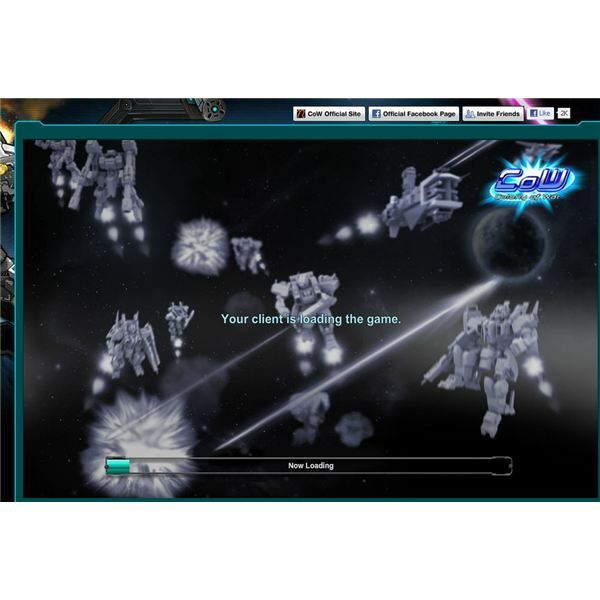 Colony of War is browser based MMO game that you can play through Facebook. Players build a colony, research technology; build ships and pilot powerful robots. Build your colony in space and train technology to improve it. Mine resources and battle other players in the game. Use this guide to learn about the military units in Colony of War you can use in your quest for glory. Colony of War is a browser based MMO space game. Construct your own colony, build defenses, ships, and pilot various robots as you battle other players. In this guide, we look at the structures of your colony. Global Warfare is a Facebook RTS game. Grow your city and build advanced military units. 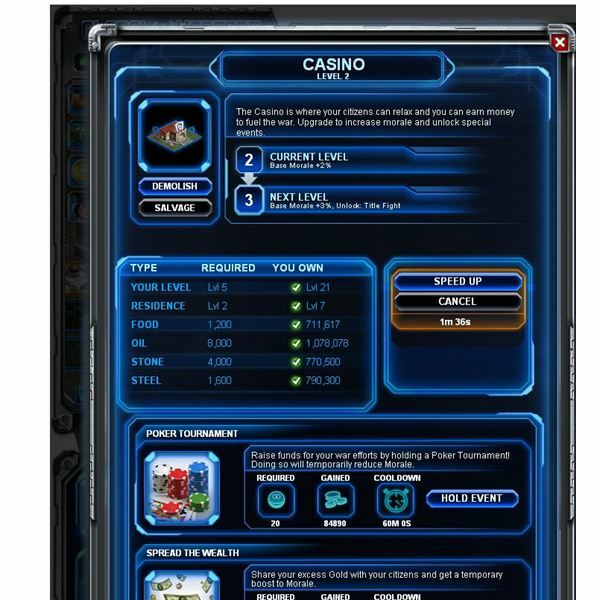 Use technology and commanders to gain the advantage over other Facebook users as you battle for control of the game map. 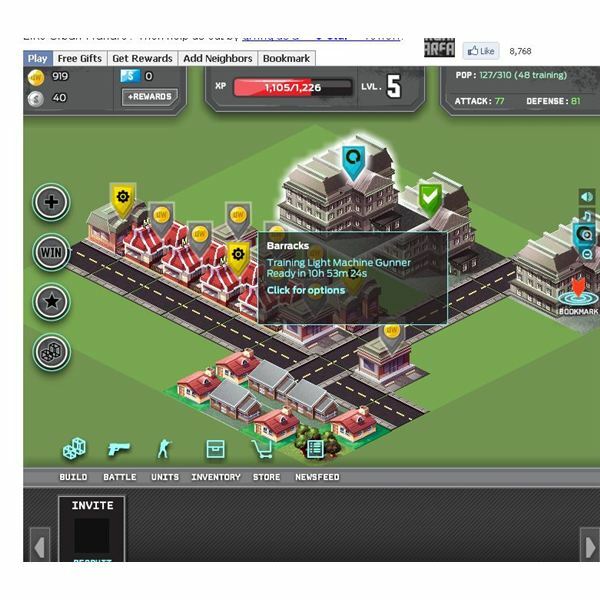 Global Warfare is a Facebook RTS browser war game. Create vast modern armies, use technology and battle for control of the game map. Use this guide to get started with Global Warfare on Facebook. Urban Warfare is a Facebook war game. 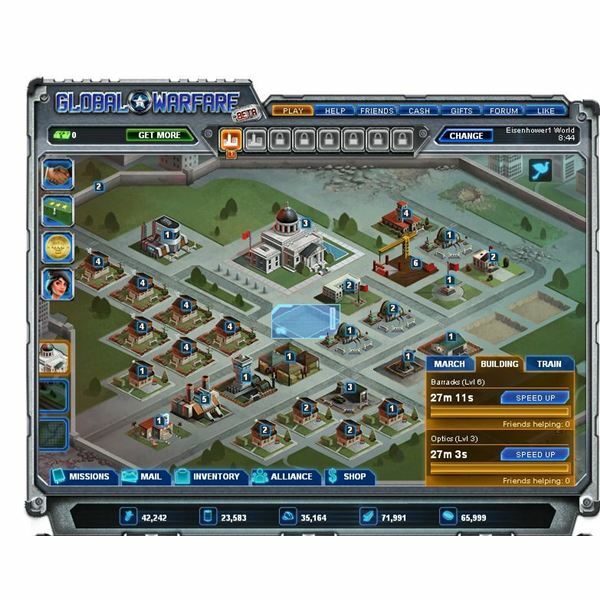 Build your city and recruit soldiers, armor, aircraft and more. 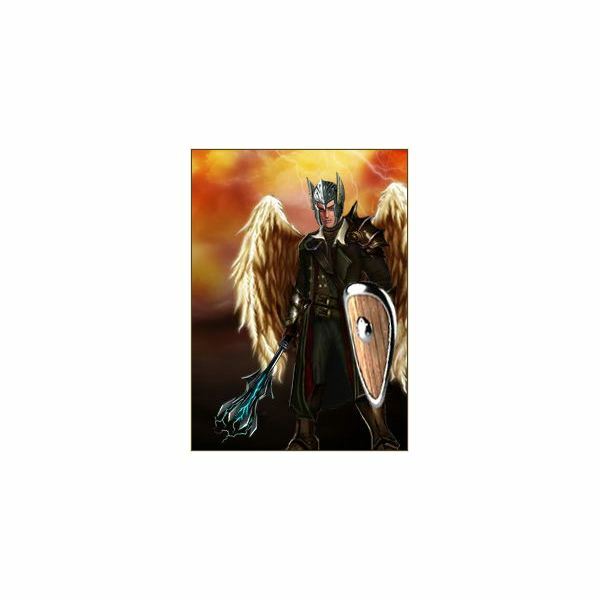 Take your army and battle against other Facebook users. 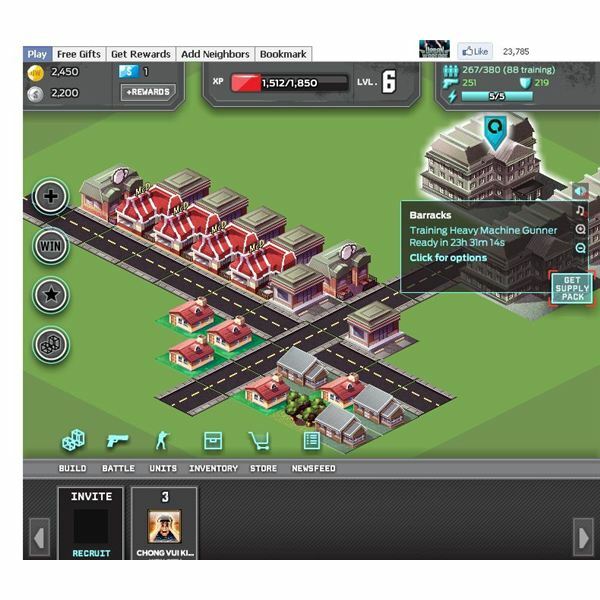 Urban Warfare takes the city building genre on Facebook and adds in some RPG style combat. 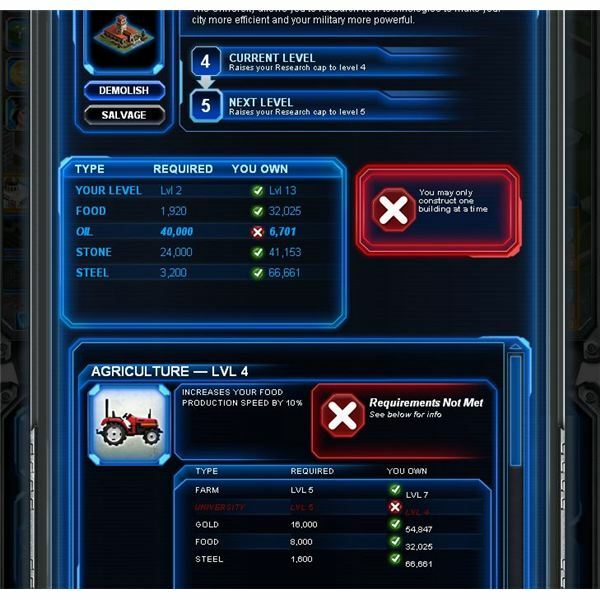 Players build cities, get population, and train armies to fight other Facebook users. With almost one million monthly users Warlords has become one of the fastest growing games on Facebook. Here is a quick guide to power leveling your character to level ten. A new medieval Mafia Wars clone that makes some serious improvements on its predecessors.